The hapless occupants of the Home Office, now have an even more attractive view out of their office windows. 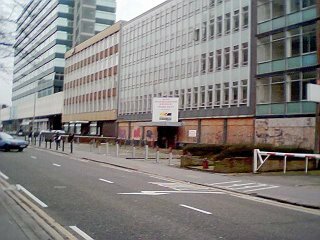 The ugly boarding that lamely attempted to hide the wasteland and associated trash heap on the derelict site, next door to the Home Office, has blown down. This eyesore is now open again, for all the world to see. This wasteland is an eyesore, and a disgrace to Croydon. Precisely when do the owners intend to do something about it?